During the early 20th century, little was known about radioactive elements. 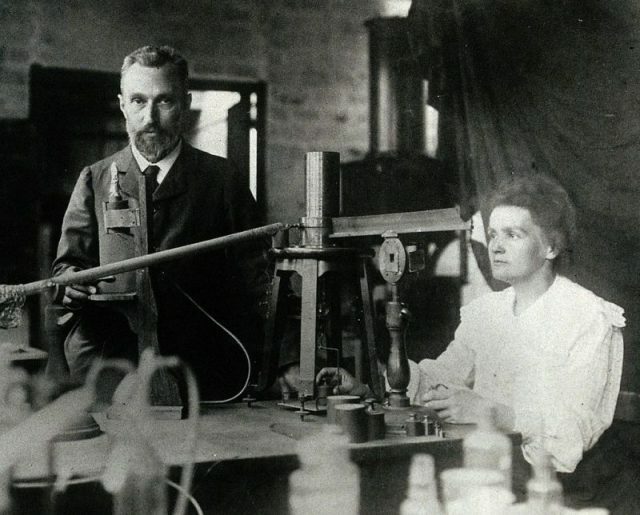 In 1898, Marie Curie and her husband, Pierre, discovered two such elements in their experiments―radium and polonium. In 1902, samples of radium were given to an American inventor and scientist, William Hammer, who experimented with its use in medicine. Since its discovery, radium has been perceived as a possible cure for cancer, and as such was largely perceived as a healthy element with little or no negative side effects whatsoever. This led to a fad in products intended for home use, such as radium-enriched water, toothpaste, lipsticks, cosmetics, and a number of drugs that claimed to cure everything from arthritis to high blood pressure. Luckily, all these products contained a very low amount of radium, which rendered them harmless. 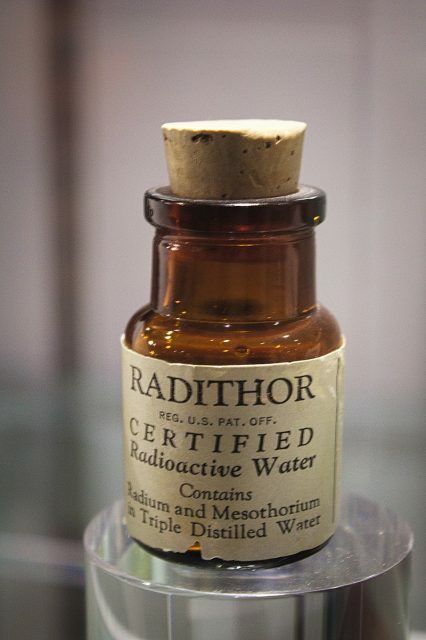 Whether they indeed cured all of the above-mentioned diseases is very doubtful, but one thing became apparent during the years of meddling with this dangerous substance―as radium decays and comes in contact with other elements, it reacts by releasing a glow. In the meantime, Dr. Sabin Arnold von Sochocky discovered a way to produce special paint mixed with radium and other substances and registered it under the brand name UnDark. 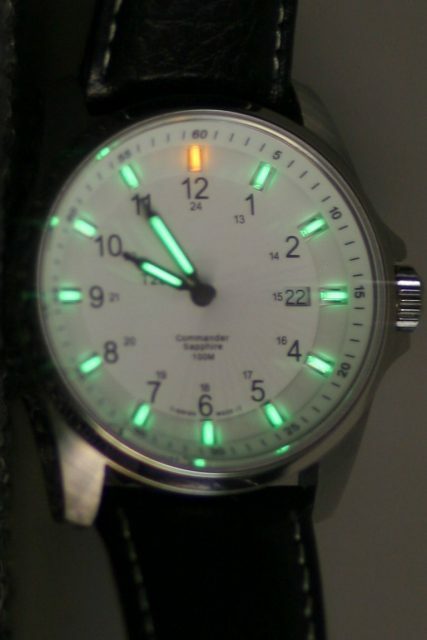 The patent soon found its purpose with the U.S. military, which used it to illuminate numbers and dials used for watches so they could glow in the dark. In 1917, the U.S. entered the war, thus shifting the main workforce from men to women. 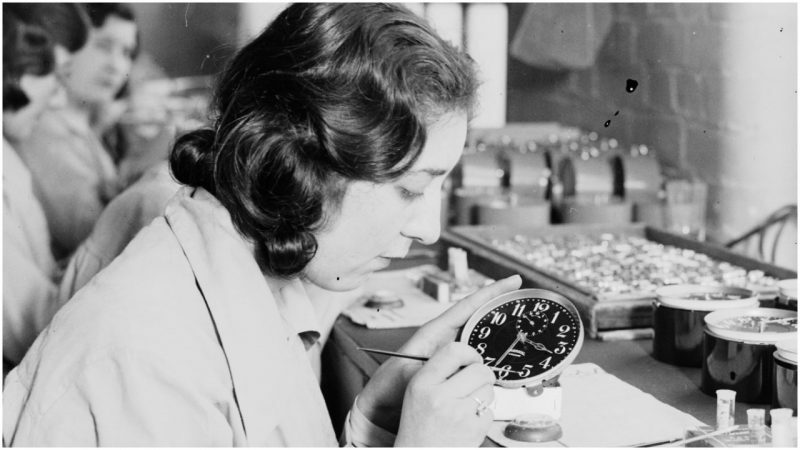 The factories employed local women to paint clocks with deadly radium paint. These women were paid substantially more than other factory workers, but were not instructed in any possible side-effects of radium, causing most of them to suffer from radiation poisoning in the years to follow. The clocks painted with radium were mainly produced in three factories, under different companies. The first was in New Jersey, second in Illinois, and the third in Connecticut. Even though there were several companies in the radium paint business, the United States Radium Corporation (USRC), with its factory based in Orange, New Jersey, would gain the most notoriety concerning the neglect of workers’ health, as it would be the first to encounter radiation poisoning among their work staff. While the employers and the higher staff had some limited knowledge of the dangers the mysterious element contained, the workers had none. The chemists used lead screens, masks and other pieces of protective equipment while working with radium, clearly aware of the potential consequences. During the same time, the girls working in the factories were even encouraged to lick the tip of their radium-contaminated brushes that were used to paint the numbers and dials, so that the brush would gain a finer point. Completely unaware of the dangers concerning radium, around 4,000 women hired by various radium-dial companies were poisoning themselves on a daily basis. The glow-in-the-dark paint was perceived as so harmless that the women would goof around, painting their lips and nails with it. Until the first symptoms of poisoning began to surface. By 1925, death was creeping into the USRC facilities. The company’s chief chemist, Dr. Edwin E. Leman, died from radiation poisoning, together with several female workers. Others were showing symptoms of anemia, bone fractures, and necrosis of the jaw―a condition that became known as the radium jaw. The early X-ray machines used to establish the diagnosis of the incoming patients only made things worse, as the exposure to radiation furthered the advance of the disease. A competitor company called Radium Dial Corporation, based in Illinois, was beginning to suffer the same fate as USRC. Cases like this began to appear in Canada as well. The truth was out, and there was no way to contain it. The corporations, together with their military contractor, were trying to reduce the damage that had been done. It was later determined that at least one of the examinations conducted on the factory workers was fake, in order to show that there was no radiation poisoning at hand, simply a viral infection. Also, the companies were instructing the medical professionals conducting the examinations to keep quiet about their discoveries. In order to further cover it up, the symptoms were attributed to syphilis, which was still a widespread sexually transmitted disease at the time. Litigation by the women affected by radium soon followed. It received widespread media coverage and support from the public, even though it proved fairly difficult to take on corporations such as United States Radium Corp. and Radium Dial. In addition to the hardships of pursuing lawsuits, many of the workers were already bedridden by the time the court session was scheduled in January 1928. 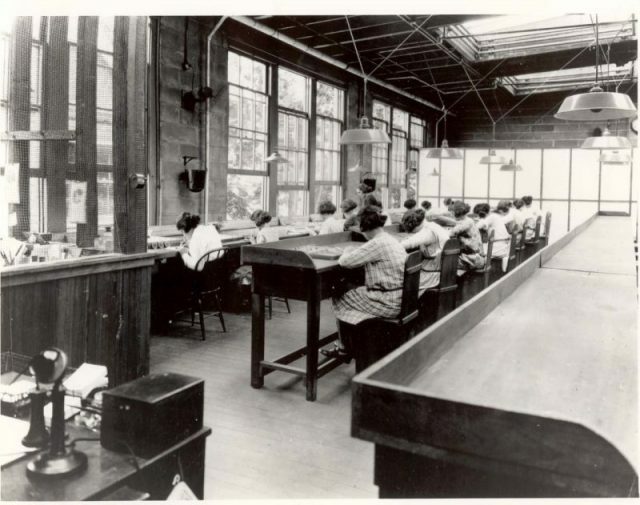 Five women who managed to testify―Grace Fryer, Edna Hussman, Katherine Schaub, and sisters Quinta McDonald and Albina Larice―were dubbed by the media as the Radium Girls. The term soon applied to all of the radium-dial female factory workers. It was a slow-moving case, as the court was often pressured to rule in favor of the companies. In the end, justice triumphed, even though it was too late for many of the affected. The court ruled that each woman would receive $10,000 (equivalent to $139,000 in 2016) and another 600 per year annuity plus $12 a week for all of their lives (equivalent to $8,400 in 2016) while they lived. All medical and legal expenses incurred would also be paid by the company. 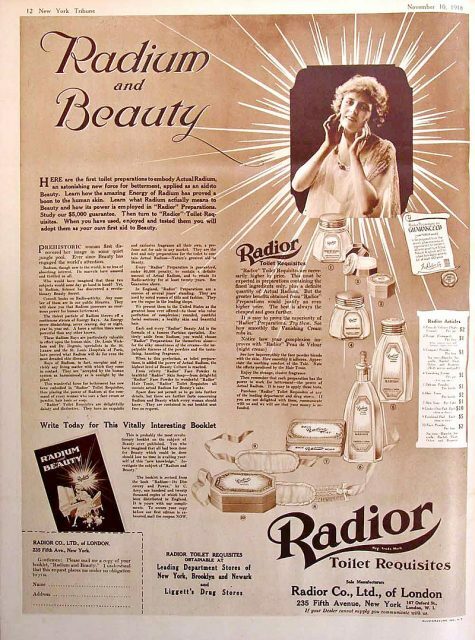 Ad for Radior cosmetics which the manufacturer claimed contained radium. The radium was supposed to have health benefits for one’s skin. Powders, skin creams and soap were part of this line, which was made in London and also sold in the US. Legal precedents were made due to the large public and media support, which established many labor safety standards in the U.S. that are still in force to this day. Scientific research also thrived from this case as the Radium Girls unfortunately and unknowingly tested the limits of the tolerance level for radioactive substances. The level of radiation some of the women endured is simply incredible. To this day, more than 80 years later, the graves of the Radium Girls cause a Geiger counter to go ballistic when turned on above the ground. Despite all of this, the establishment of the occupational disease labor law and safety standards didn’t forbid the use of radium paint until the 1960s―it only required the workers’ safety equipment, which minimized their exposure to radioactivity.